Friday the 13th... Lucky, Unlucky, or is just a lot of Hocus Pocus? 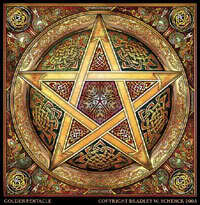 WiccanWay » Chat it up » Friday the 13th... Lucky, Unlucky, or is just a lot of Hocus Pocus? 2012 is monumental, in my opinion, when contemplating Friday the 13th. There are three such occurences this year, all exactly 13 weeks apart. According to some sources, you can find them all over the internet, Friday the 13th is the most feared susperstition across the United States today, with some 21 million people ascribing to the bad luck of the day. Some people refuse to eat out, go to work, some refuse to even leave their homes, and would never even think of planning a wedding on such a day. There are societies in history that forbade the use of 13 in any act of building, business, or even for personal use. Many cities don't have a 13th street or avenue, and many buildings have floor numbers going from 12, directly to 14. Why is it that so many have had so irrantional a fear as the fear of a number, or better yet, a number on a particular day? About.com had some interesting things listed under Friday the 13th. Such as: also known as the devil's dozen, some legends include that if 13 people sit down to dinner together, one will die within the next year. Some have claimed that it's as simple as counting. Primitive people had ten fingers and two feet, so 12 was as high as they could count (the source I found this in begged the question... did primitive people have no toes?). 13 letters in your name also has other predictions it seems, Jack the Ripper, Charles Manson, Jeffrey Dahmer, Theodore Bundy and Albert De Salvo all have 13 letters in their names. Last, but not least, there are 13 witches in a coven (Obviuosly, covens must only meet on Fridays). Not all civilizations felt this way, however. The Chinese regarded 13 as a lucky number, and the Egyptians, at the time of the Pharoahs, equated the number to the search for eternal afterlife. We could speculate that since this society did meet its deminse, future generations took the belief of 13 with regard to death as a bad thing, rather than a reverence of death. Or, possibly it was the calender gurus who changed our calender from 13 months, each with 28 days, to the more perfect 12 month calender we have today. No matter what you believe, or don't believe about Friday the 13th, it's here. If it does trouble you, then perhaps there is something more behind the time, rather than just the day itself. Whether this is the case or not, I do hope you will find the opportunity to let our craft, inspire yours.